10. The Letter to the Church in Philadelphia. Philadelphia was sited where the modern city of Alashehir stands today. This city was regarded as commercially important and was located as the gateway to the high central plateau of the Roman Province of Asia in Asia Minor – modern-day Turkey. The word Philadelphia literally means ‘brotherly love’. 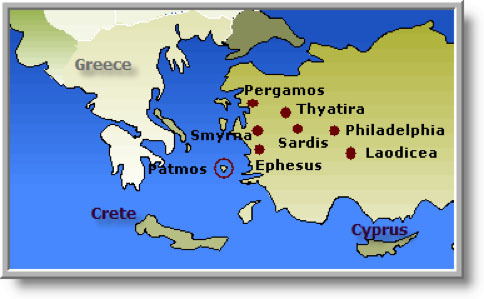 The city was given that name in honour of its founders – two brothers, Attalus II and Eumenes II. Men may temporarily hold the key of access to physical locations and resources, but God eternally holds the key to the things that really matter. Who do we trust? If one promise in the Bible is untrue, then we may as well throw the entire Book away. A banknote is underwritten by the Central Bank of the Country of which it is the currency so that the promise to pay the face value of the note is reliable and true, but it is far more reliable to trust in the promises underwritten by God in His Word. Every promise is true. God may be held accountable and reliable as the One who will back these promises. Sometimes we do feel that God has let us down and that He has not kept His promises, but we need to recognise that God never makes mistakes. We may not understand what is happening or see the bigger picture, but remember “In all this, Job did not sin in what he said.” Job 2:10. So keep praising God, showing Him that whatever is happening, we will keep trusting Him. In the fullness of time we will understand God’s way of doing things. Jesus understood exactly where the Church in Philadelphia stood regarding their belief and faith in Him. Nothing can be hidden from Him (Psalm 139) so we must never try to pretend we are something that we are not. God knows the truth! God had placed before the Philadelphian Christians an open door, probably to the Kingdom of Heaven. Christians always have access to the Kingdom of Heaven twenty four seven. No one can prevent us from living in Heaven on Earth. It is our right, our duty to do so, and the Believers in Philadelphia were taking part to the full. He saw their willingness and so Jesus opened doors of opportunities for them, which no power on earth could shut. These Believers may not have been strong in the faith, but they had kept God’s Word and had not denied His Name. Life saving! This is so encouraging. When we feel weak we can just hold onto His Word and never deny His Name. Just keep speaking the Word out of our mouth and we will create what God has promised. Don’t forget the power of the tongue! Think about Sarah shouting out loud for Abraham, ‘father of many nations!’, before he ever had Isaac, she spoke by faith, Romans 4:17. All saints are under His control. Every Christian should have a good working knowledge of the Word of God obtained by prayerful study. It is their birthright and their duty in order to know their Master’s Voice. It is vital to know the Word of God. It gives the Believer security against believing false teaching and many so-called prophesies, visions and dreams that purport to be the truth, but are in reality little more than the result of human thought. This is not speaking about real teaching, prophecies and dreams. These exist and only the knowledge of the Word of God will help us to rightly distinguish the true from the false. The Bible was never intended to be merely read, rather to be spoken out and to be studied so that the Holy Spirit can reveal the most amazing truths from it into our spirits. In order to learn the Word of God we should meditate (speak it out) day and night (Joshua 1:8). It may seem hard and unnecessary to learn the Word of God, but for those Believers who live under persecution in many parts of the world, this may be the only access to the Word of God that they have in prison, or hiding out. In order to understand what God is saying to us through His Word, we do not need to be a scholar or a theologian, we just need to be close to the Holy Spirit. The ‘hour of trial’ refers to the Tribulation Period which is coming on the earth universally. Jesus states that He will keep the Believers from that time. The hour of trial is not an hour. An hour as used here refers to a specific time period. As we shall see in both the Book of Daniel and later in the Book of Revelation, it is clear that this ‘hour’ refers to a seven year time period which is coming on the earth to test those present at the time. “But if we were more discerning with regard to ourselves, we would not come under such judgment. 32 Nevertheless, when we are judged in this way by the Lord, we are being disciplined so that we will not be finally condemned with the world.” 1 Corinthians 11:31-32. The standard we use to judge ourselves is none other than the Word of God. “For the Word of God is alive and active. Sharper than any double-edged sword, it penetrates even to dividing soul and spirit, joints and marrow; it judges the thoughts and attitudes of the heart. 13 Nothing in all creation is hidden from God’s sight. Everything is uncovered and laid bare before the eyes of Him to whom we must give account.” Hebrews 4:12-13. All men will be judged, our measuring stick is the Word of God which is the judge of the intents of our heart. Peter states that “judgement must begin at the House of God.” 1 Peter 4:17 KJV. Our just God judges us, His children, by having us judge ourselves daily with the Word. Also when we stand before God, Jesus will speak for us as He is our advocate, our Saviour and Redeemer so He has paid the price in full for all we owe, which is amazing. If, as some say the Tribulation which is coming to test those who dwell on the earth, and it is designed for the perfection of the Believers, then it violates the teachings of Paul. So we can easily see that it is by ministry that the Church will become glorious, spiritually mature and ready to be caught up to meet the Lord in the air. Certainly tribulation or persecution can produce such a result of maturity. God passionately wants us to learn from His Word and walk in His Spirit and be guided by Him every moment. From this, we may understand that the Church (the Believers) will be caught up before the Tribulation begins. If this is true, and we are alive when Jesus returns for His Body (the Church), then we should understand that this will happen before the Tribulation Period. People who believe this are called ‘Pre-Tribulationists’. There are those, however who believe that the Church will go through the first part (three and a half years) of the Tribulation Period and are known as ‘Mid-Tribulationists’, then there are those who believe that the Church will be on the earth during the entire Tribulation Period before being caught up to meet the Lord in the air and they are known as ‘Post-Tribulationists’. We shall have ample opportunity to discuss all these positions again, as we continue our studies. Paul also reveals that the Lord will present to Himself a radiant church, without stain or wrinkle or any other blemish, but holy and blameless. Ephesians 5:27. In the Church at Philadelphia, Jesus promises that those who overcome will be pillars in the Temple of God. We are to behave as victorious overcomers, daughters of the King; we are more than conquerors in Him who loves us and gave Himself for us. Even though they had little strength this is all God needs to make them into Temple pillars. This is the very symbol of strength; solidarity, grandeur, and stability. “My strength is made perfect in weakness” 2 Corinthians 12:9. Those who are victorious will never again leave God’s Presence. What an amazing reward for those who have patiently kept God’s Word and have never denied His Name. Those whose destination is the Kingdom of Heaven will be identified by the Name of God which is sealed into His Promise. The overcomers will receive three markings. First, “I will write on him the Name of My God” Revelation 3:12. What could be greater than that? Second, “I will write upon him ……. the name of the city of My God….” The overcomer is eternally identified with the New Jerusalem. Where they come from will be written all over them. Thirdly “I will write on him My new Name.” The overcomer in Philadelphia will be covered in God’s Glory. What that really looks like we have to wait for the time of the New Jerusalem. How will it be with you? Have we got the perseverance and the patience to remain faithful to Jesus through trials and difficulties, opposition and ridicule in our lives? If not, then will we reconsider our position and rely on the promises of Jesus to carry us through? Surely just a little determination and perseverance will be worthwhile as we fix our eyes upon Jesus! What wonderful promises we have here to encourage us, it will all be worth it. 1. Read the Notes and the Bible Verses referred to in them. Highlight the points that ‘speak’ to you and be prepared to share in your group. 2. Why do you think the Church at Philadelphia had ‘little strength’? Is that description relevant today? 3. What do you think of the promises to the overcomers in the Church at Philadelphia? 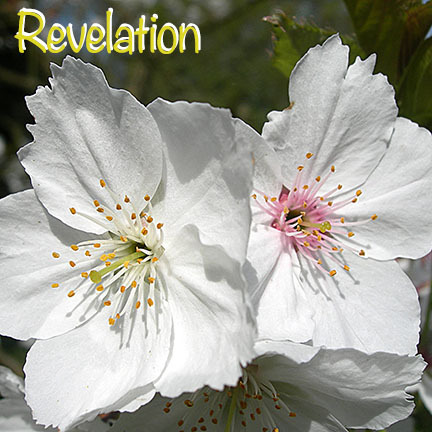 Read Revelation 3:14-22 – The Letter to the Church in Laodicea. 4. Who is ‘the Amen, the faithful and true witness, the ruler of God’s creation’ as described in Verse 14? 5. How was the deeds of the Laodiceans described here, and how is their character shown from their deeds? 6. Why did Jesus wish that they were either hot or cold? What did He threaten to do to them, and why? 7. Personal. Spend some time talking with Jesus about your relationship with Him. How would Jesus describe you on a scale of 1 (Cold) to 10 (Hot)? Do you need to do anything about your situation? If so, what do you need to do? When do you need to do it? 8. What was Laodicea renowned for, and why do you think that the Laodicean Church said that they were rich, had acquired wealth and didn’t need a thing? 9. Was this correct or was it ‘stinking thinking’? Do you need to realign your thinking in this area? 10. Jesus knew that their lives did not reflect what they said about themselves. How did He see their lives? 11. Jesus instructed the Laodicean Church to buy certain things from Him. What were they and why did He suggest such items? 12. How would they have changed the Church’s life? Do we need to buy certain things from Jesus? 13. Jesus said that He rebukes and disciplines those He loves. Is that still true today? 14. Is all rebuke and discipline painful? Explain your answer. 17. What promises did He make to those who were overcomers? 18. What is the Spirit saying to the Churches through this letter? Do you think that what Jesus is saying in this letter applies to our Churches today? 19. Describe in a single sentence how this study of the seven Churches has affected you and your Christian life.